Good morning my dears! I hope you have a wonderful hump day. I've got some more Zoya spam in case your still waffling on what colors to order during their yearly Earth Day exchange promo. It's the best time to take advantage of their sale to stock up. 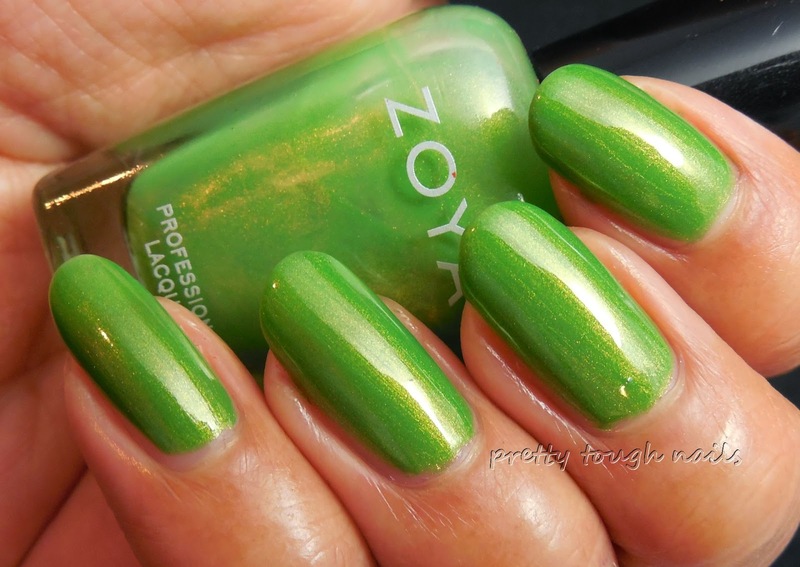 Zoya makes endless colors in all finished, and shimmers are a particular favorite of mine. I've swatched four for you today. Who doesn't love a Midori sour? This is nearly an exact shade of that wonderful drink, and is a thirst quenching melon green shimmer. Formula was thin so make sure to work quickly to avoid streaks. I used three coats here with no topcoat. 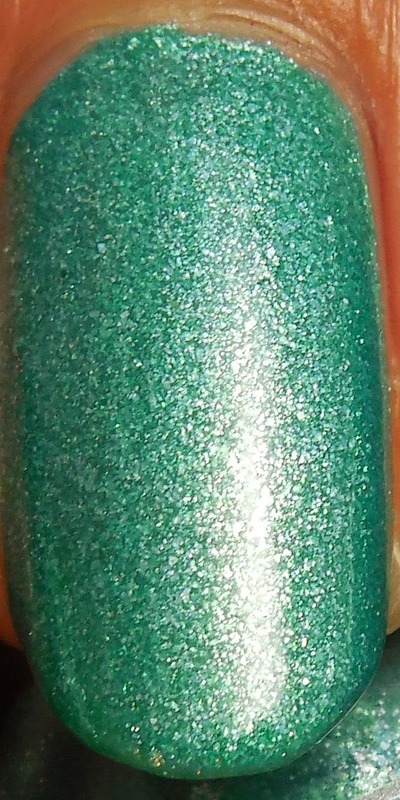 I'm in need of a tropical vacation and the closest I can get is Zoya Zuza, an aquatic teal blue with silver shimmer. This reminds me of white beaches and clear tropical water. No trouble at all with application, and I only needed two coats here with no top coat. I've been long overdue in swatching this shade, but it was well worth the wait. Zoy a Valerie is a stunning jewel tone dark plum shimmer with lighter tonal shimmer. This one glows from all the summer that's packed within. Two coats here with no topcoat. I adore any color base with gold shimmer, and this vibrant dark pink is no different. This is a lovely transitional shade for spring going into summer and does a great job of making me appear tanner than I am. Gotta love that! Again, two easy coats with no top coat. How perfect are those shades? This is only a sampling of the huge variety that Zoya had to offer. Have you narrowed down your list yet? Do yourself a favor and make sure you order all the shimmers! I still haven't ordered mine. It's so hard to choose from all the pretty colors! I'm glad you liked Kimber! I just ordered Zuza the other day. Now seeing your swatches I can't wait for it to arrive!